A smile heals even the most profound emotional wounds a person has. Such a simple gesture can turn a bad day into a good one, brightening up a person’s day. A simple gesture can move two strangers to friendship. It seems natural to smile when faced with good events, but what about when bad things happen? For sure most of us would cry our hearts out, even back off in a corner and wallow in despair. However, for the optimistic ones, they might cry for a bit, but they are ready to face the world once again with a smile. Lady Shortcake’s fate takes an upward twist. Things did not seem to go well for a particular Pit bull wandering on the streets. Aside from having a skin disease, the dog had a hernia as well. If other dogs were in this situation, they might have shut themselves out from the human world. However, this dog is unlike other dogs. It appears to bring an optimistic outlook, smiling amid the difficulties it’s facing. 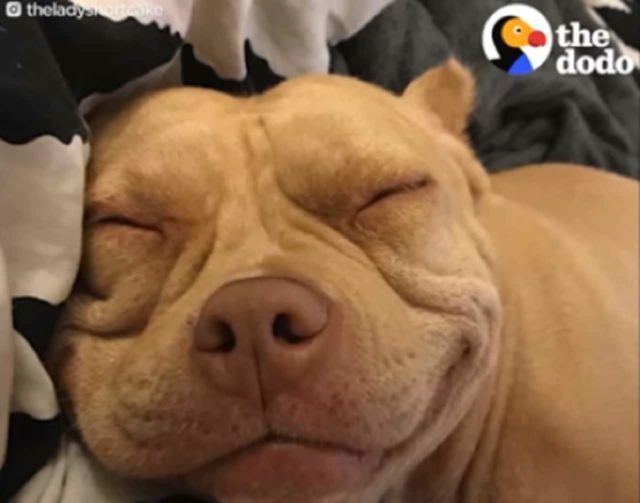 This smile became the reason for the dog’s rescue. 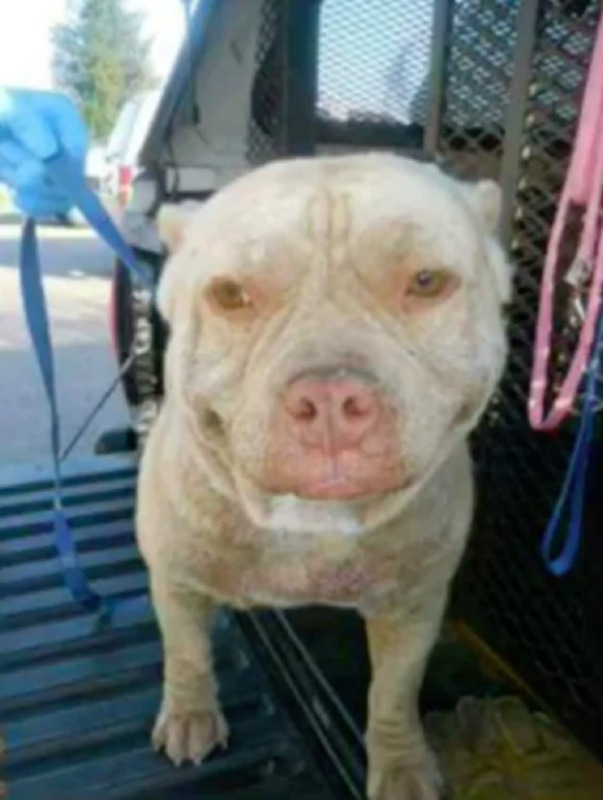 The Fresno Bully Rescue didn’t have the heart to leave the dog with the sweet smile, so despite the lack of space, they took her in the shelter. After receiving treatment, the shelter staff immediately arranged for a foster to take care of the sweet Pittie. Lady Shortcake meets her new family. Eventually, Shortcake’s predicament reached her future mother’s eyes. 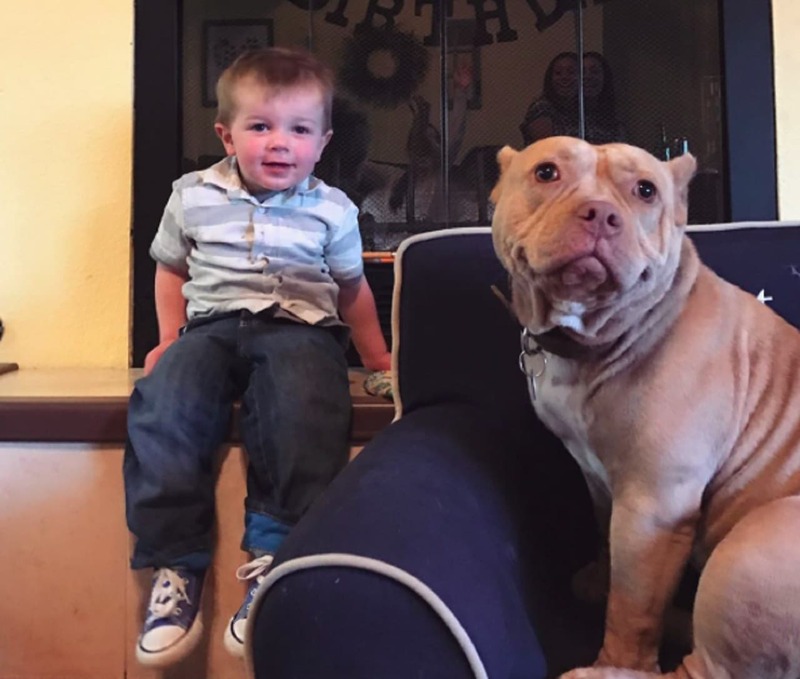 Her would-be-foster mom saw the dog’s picture, and she immediately fell in love with its smile. The three-hour-long drive did not hinder the woman from meeting Shortcake. And just like that, she knew that Shortcake is the piece that completes the picture. The woman eventually adopted Shortcake, ensuring a long and happy for both of them. Today, Shortcake lives life to the fullest. She enjoys living with her new human friends and even befriended their kid neighbor, Grant. Her fur mom would find them hanging out on the couch together, or lie down underneath the table. The two became inseparable ever since. Aside from hanging out with Grant, Shortcake also loves to snuggle up with mom, accompanying her to work, and taking naps. Her fur mom jokes that Shortcake acts like an old lady, taking everything in stride – with a smile on her face. Catch Shortcake’s daily adventures in the video below.